As successful businesses grow, they often experience a reduction in local demand as their traditional markets become saturated. So, it is logical that these companies should set their sights further afield and evaluate and select opportunities for growth in new territories. Many UK online businesses who have entered overseas markets are becoming increasing reliant on global demand to increase profitability. According to a recent report by OC&C Strategy Consultants in collaboration with Google , overseas UK online sales accounted for 14% of total online sales in 2012. The study’s authors predicted that online sales from outside the UK will rocket from the £4B generated in 2012 to an estimated £28B by 2020, accounting for 40% of total sales revenue. 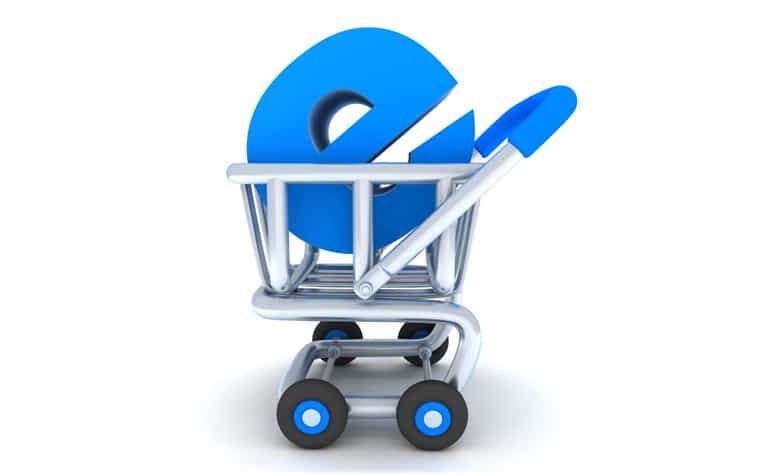 A large percentage of the increase in sales on UK e-commerce stores will be driven by overseas demand. This development is already impacting some of the larger online retailers. British brands Asos, Burberry, Jimmy Choo, Net-A-Porter, The Outnet, Topshop, and Wiggle all now receive half their website traffic from overseas. Smaller brands are also winning attention from international shoppers, with names such as Farfetch, Isabella Oliver, Surfdome and Corsets UK among the small and medium-sized companies who are, as a group, seeing 47% of their online searches originate overseas. Conversely, some traditional UK retailers continue to suffer from decreased demand, in part due to their failure to successfully adapt in the digital age. Recently, the high street has seen the demise of HMV, Jessops, Blockbuster, Comet, Republic, and a large number of smaller independent retailers as a result of declining footfall. This means that UK businesses should increasingly be taking into account the importance of overseas markets when formulating their e-commerce strategies. As domestic markets continue to stagnate and overseas demand continues to increase, having a website that displays content in a single language, serving users from a single country, is no longer an option. However, developing and managing a successful multi-language e-commerce store is complex and resource intensive. There are many factors that affect the ability to conduct business successfully in another language or country. Here are our top six tips to ensuring greater success in your global expansion endeavours. Many companies have expanded into new markets in overseas territories. Just because other companies have thrived in these markets, it doesn’t mean that yours will automatically succeed. First and foremost, you need to ensure that there is a compelling business argument for developing your business overseas. If your business is not successful in your local markets, achieving success is going to be even more difficult abroad where your company is potentially less established. Aside from defining clear aims and objectives, conducting research into the geographical, economic, political, legal, technological, social, and cultural situation within your target country is key. Business owners would need to determine if there is a market for their goods or services within the target country and the size of the potential market. Are there enough people that can afford the goods that your business is offering? Are these customers using the internet to buy goods online? By looking at population data, internet penetration statistics and GDP per capita for the selected countries, it is possible to determine if expansion into these markets is feasible. If so, it is also advisable to identify and analyze the competition to determine if your organization can provide a competitive advantage over existing players. If you are unable to gain access to the data required to conduct your research, we recommend speaking to a team of local market experts before committing any further resources to expansion within a given market. It may seem obvious, but the importance of localizing your website for the target language cannot be understated. Research shows that by providing a localized version of your ecommerce website increases website conversions by an average of 70%. This is not rocket science. If a customer cannot understand the text on your website, they are not going to have the confidence to purchase your products online. Aside from providing content in the local language, it is equally important to ensure that pricing is available in the local currency. A recent survey of global online shoppers by Penton Research reported that eCommerce merchants selling abroad are missing out on sales and revenue opportunities because their websites lack local currency pricing capability. They interviewed 30,000 online shoppers in Canada, the UK, Australia, and Germany about their shopping habits on eCommerce sites. The majority of shoppers surveyed indicated displeasure with sites that were priced in US dollars only. As a result, online retailers are likely to be losing a considerable amount of revenue by only offering single-currency pricing. According to research by Akamai, issues relating to shipping and handling were responsible for 38% of online shoppers abandoning transactions on ecommerce stores. If a customer lives or works abroad it is extremely likely that they would want to have their goods delivered to their home or workplace. By not providing options for international shipping, ecommerce site owners are losing out on international sales and limiting their potential for international growth. Culture can differ dramatically from country to country. It is important to respond appropriately to differing customs and traditions when conducting business in new territories. For example, there are many differences between the business cultures of China and the United States. In terms of initiating business affairs, relationships come before economics in China whereas in the U.S. economics generally take a front row seat to relationships. Chinese people do business with people they know and trust. In terms of negotiation, the Chinese tend to haggle and believe that there is room for negotiation on every deal. Even communication styles differ. Chinese people tend to be quiet and reserved in business settings while Americans tend to be outspoken and eloquent. Religion can also have a huge effect on an organization’s ability to conduct business in another country. A shared religious belief may enhance trust and therefore reduce transaction costs between trading partners. To help you research global opportunities, we’ve collated some data from Wikipedia, InternetWorldStats, mysql.com and the Office of National Statistics to produce an interactive map allowing you to filter by population, annual gross domestic product per capita and internet penetration to identify regions which may be suited to your organization’s international expansion plans. Once these regions have been identified, you can click on the map makers to display languages spoken in these countries, currency information and details of the dominant religions within these countries. We hope these will be useful. If you have any suggestions on how we could improve the tool, please leave your comments below. Good luck!